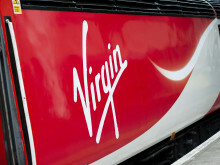 A new Virgin Trains service connecting Stirling and Falkirk to London has been launched by Scotland’s Transport Minister. Derek Mackay was joined by Stirling Council Leader Johanna Boyd to see off the inaugural 5.26am departure and welcomed the role it will play in supporting Scotland’s economy. 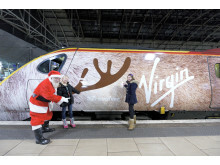 Virgin Train’s has today (14 December) launched a new week day service between Hull and Doncaster. 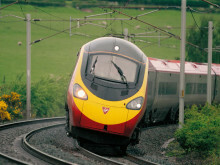 From today, customers in Hull, Brough, and Selby will be able to travel on a new service to Doncaster, with onward connections to Newark North Gate, Grantham, Peterborough, Stevenage and London King’s Cross. Russians pinch Virgin Trains’ toilet humour for Winter Olympics! 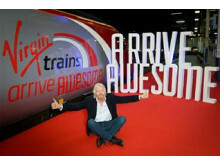 Signs developed by Virgin Trains for our fleet of trains have been spotted at the 2014 Winter Olympics. Imitation is the sincerest form of flattery! 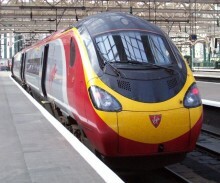 Fares for travel on Virgin Trains on and from 2 January 2014 will increase by an average of 3.3%. The prices for our cheapest tickets are being frozen at 2013 prices, specifically the two lead-in Standard Advance fares and the first lead-in First Advance fare. The September edition of The Red Letter contains items on meeting demand on the West Coast, a new initiative which sees 12 people combining working with Virgin Trains with studying for a business studies degree, and Virgin Trains' work with Network Rail and Samaritans to prevent suicide. Travelling over the Bank Holiday? There may be some changes that could affect your journey. 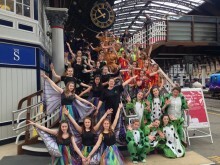 Our fleet of trains is getting a makeover! Starting with the Voyagers, improvements include new seat covers in First Class, new carpet runners throughout and some shiny red valences for the front of the trains.